There was an across the board improvement in punctuality among Australia’s domestic carriers in February, with on-time performance at near record levels. Overall, 90.3 per cent of the nation’s domestic services – or more than nine in 10 flights – either departed or arrived on time in February, the Bureau of Infrastructure, Transport and Regional Economics (BITRE) said in its monthly report on on-time performance. “This month’s on time arrivals and on time departures figures are the third best recorded since this collection commenced,” the BITRE report said. BITRE data stretches back more than 12 years, with the first figures for on-time performance collected in November 2003. All airlines improved their on-time performance in February compared with the previous month, with Jetstar reporting the biggest jump in punctuality. The Qantas-owned low-cost carrier had 84 per cent of its flights arrive within 15 minutes of schedule, up 10.4 percentage points from January. Similarly Jetstar’s on-time departures rose 11.4 percentage points to 80.3 per cent. Despite the improvement, Jetstar retained its place at the bottom of Australia’s punctuality table and continues to trail its budget-carrier rival Tigerair Australia, which had 92.2 per cent of its flights arrive on time. 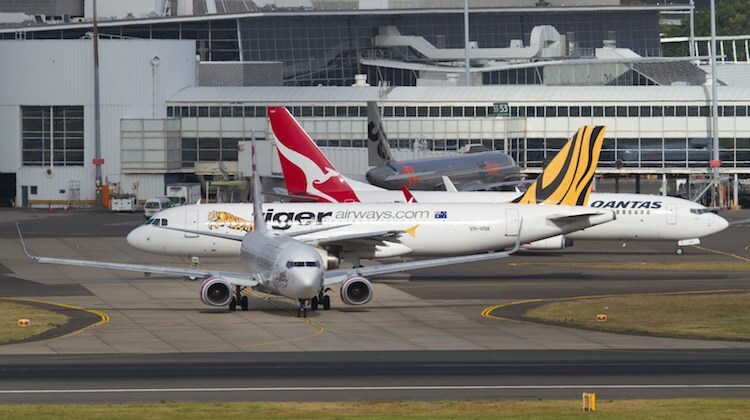 Ahead of Tigerair were Qantas and Virgin Australia, who both achieved a 93.3 per cent on-time arrival performance in February. Among the regional carriers, Virgin Australia Regional Airlines (90.7 per cent) came out ahead of QantasLink at 89.1 per cent and Regional Express (87.2 per cent). The top four Australian domestic routes for on-time arrivals all involved Brisbane Airport – Brisbane-Darwin (99.1 per cent), Brisbane-Mount Isa (98.7), Mount Isa-Brisbane (98.7) and Brisbane-Hobart (98.3 per cent). Brisbane Airport was recently named the best airport in Australia/Pacific at the 2016 Skytrax World Airport Awards. It was also ranked fourth best airport in the world in the 20-30 million passengers a year category.